Stapleton Moms: Stapleton Mom to Lead First Allergy & Asthma Office in Stapleton Opening April 2014! Stapleton Mom to Lead First Allergy & Asthma Office in Stapleton Opening April 2014! Dr. Otsu graduated from Columbia University’s Medical School for International Health, where she also received a Master’s Degree in Public Health. She completed her residency in Internal Medicine and Pediatrics at the University of Massachusetts and her fellowship in Allergy, Asthma and Immunology at University of Colorado Denver/National Jewish Health. 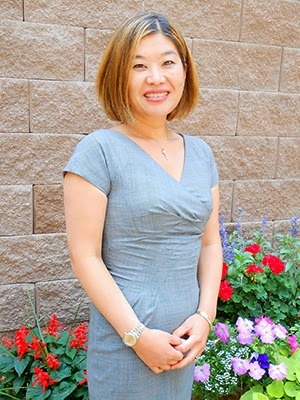 After completing her fellowship, Dr. Otsu and her husband, who also is a physician, decided to make Stapleton their home. They have three children. Allergy & Asthma Care and Prevention Center works with its patients to educate them on prevention skills and methods to keep them healthy. Allergy & Asthma Care and Prevention Center’s Stapleton location will offer a full-­‐ range of diagnostic services and treatments, including allergy, skin testing, desensitization treatments, and ingestion challenges. The center’s highly trained health professionals will assist in providing treatment and education for food allergy, plus seasonal, environmental, and pet respiratory allergy symptoms, as well as skin allergies. The new office is located at 8340 East 49th Avenue, Northfield Stapleton Building K – Suite 2620, Denver CO 80238. Please call 303-­‐706-­‐9923 or visit www.allasth.com to schedule an appointment. Correction: she Graduated from the "Ben Gurion University of the Negev" in ISRAEL. The program was affiliated with CU. hashmi herbal is also a best Natural asthma treatment.